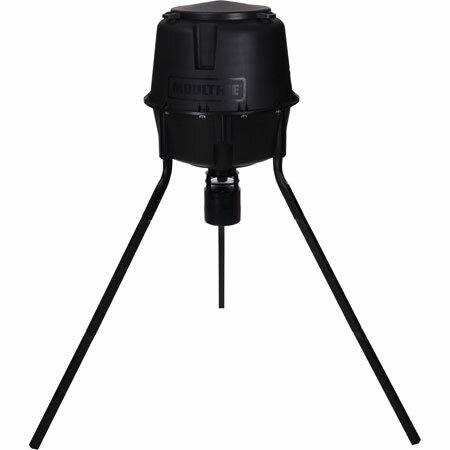 Get the fully programmable functionality of the Deer Feeder Elite but with the economy of durable, UV-resistant plastic parts and a nonadjustable fill height of 5.5 feet. Moultrie's exclusive quick-lock modular technology makes setup easier than ever before and is compatible with any Moultrie feeder kit. Simply insert the Quick-Lock hopper into the kit and twist, no tools necessary. Square, locking legs add stability to the well-thought-out design of the Deer Feeder Pro, which features a 360-degree feed pattern.